*If you click a link in this post and make a purchase I may receive a commission. 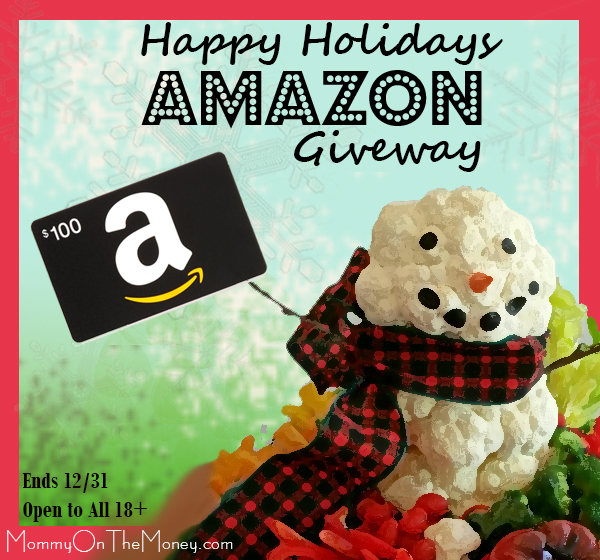 Who doesn't love an Amazon Gift Card over the holidays?! We have another one to give away for you!!! This month we are giving away a $100 Amazon Gift Card to ONE lucky winner to do with what they like. We are every so thankful to each and every one of our fans so we are self-sponsoring this giveaway so one of you gets to enjoy a nice little gift on us. Enter in the Rafflecopter form below!!! *Giveaway is not associated with or endorsed by Amazon, Facebook, or their associates. MommyOnTheMoney.com is solely responsible for the prize. Winner will be contacted via email and will have 48 hours to claim their prize or we will select another winner. Prize will be sent via Amazon.com in the US and delivered to confirmed email address.